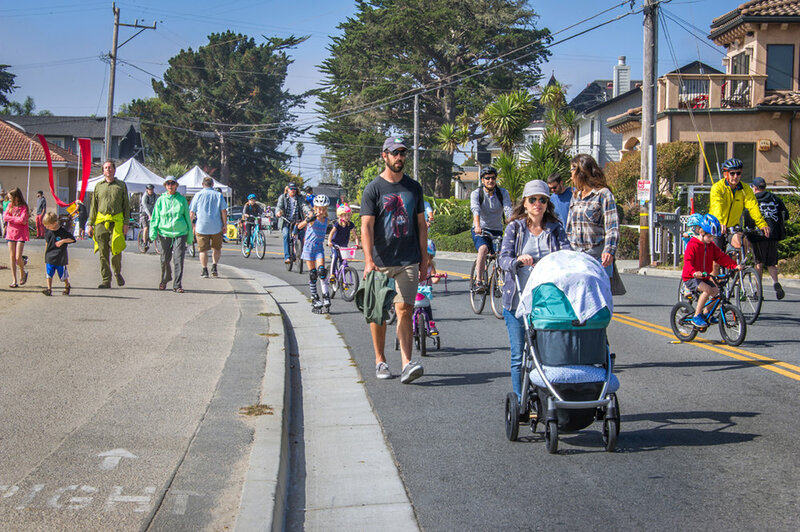 West Cliff Drive | 9 a.m. - 2 p.m.
Open Streets Santa Cruz returns to West Cliff Drive on Sunday, October 14th 2018! Join us for another walking, biking and playing in the streets on a day free from car traffic! Click below to download the official Open Streets Santa Cruz 2018 map. Click below to check out the descriptions, locations and schedule of all the amazing booths, performances and activities that we have in store for Open Streets Santa Cruz 2018. Open Streets Santa Cruz 2018 will feature live performances from some great local artists and organizations. Click below to view the schedule! Big thanks to our Open Streets Santa Cruz 2018 sponsors and supporters! For five years, Open Streets Santa Cruz has filled beautiful West Cliff Drive with music, games, a place to stroll, and a wide-open bike-way. The road will once again be closed to cars between Lighthouse Field and Natural Bridges--and open to bikes, wheelchairs, dogs (on leashes), dog walkers, and neighbors!